Hey there friends! It’s Bjork, checking in for Pinch of Yum’s monthly traffic and income report. I have many roles here at Pinch of Yum. I consider the most important to be my role as CTT (chief taste tester). It’s a tough job, but somebody has to do it. Along with my role as CTT I also partner with Lindsay to figure out ways to grow Pinch of Yum: grow the traffic, grow the income, and (probably most importantly) grow our connection with you, the readers! In these monthly reports I give a behind the scenes look at Pinch of Yum. I share what’s working and what’s not working. In this post I want to take some time to share what we think might work. It’ll be a sneak peek at the projects and ideas that Lindsay and I are talking about over the dinner table and working on in our free time. Most of these projects are still in the “currently building and a little bit embarrassing” stage. Some of them might turn into something really cool and some of them might be things that we sweep under the virtual living room rug. My hope in sharing these projects is that you’re inspired to create new things and continually reinvent yourself (and your blog). We’ve started to see earnings recover as we’ve moved into March, which is always a good feeling. We pay a lot for hosting. As a matter of fact, over the past few months our hosting bill was higher than what we paid per month for our first home! I’ve been trying to find the sweet spot with hosting, making sure that we have a sufficient server without over spending. My gut is that we’ve been on the overspending side, so I decided to test out a more affordable plan and see how it plays out. I’m keeping a close eye on how this change impacts the site load time in Google Analytics. Here’s a screenshot of the site load time for Pinch of Yum. The arrow points to the day we switched the server to a more affordable plan. That tiny little note icon you see below the arrow is called an annotation. I’d recommended using those often in Google Analytics to keep track of changes that you make with your blog. This allows you to easily track changes and see the impact that they have on your blog. Note: Here’s a tutorial from Google on how to add an annotations in Google Analytics. 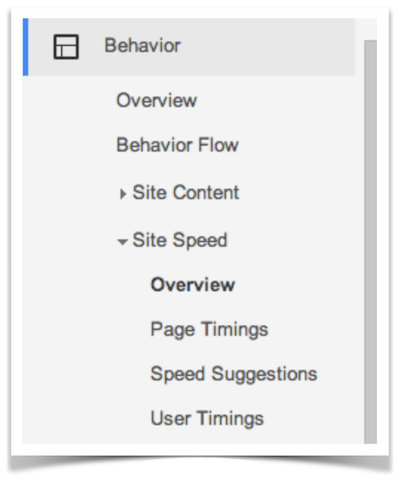 You can track load time in Google Analytics by going to Behavior > Site Speed > Overview. I should say this because I’m sure that many of you noticed: Pinch of Yum’s site load speed is terrible. Like, really bad. I think it’s due to the number of pictures, the quality of the pictures (general pretty high), and the number of ads that we run on the site. All in all it makes for a really slow load time. Have you ever checked the load time on your site? What is it? What have you done to help improve it? I’d love to hear about your experience in the comments section. I’ll be sure to let you know if we find some good solutions. I’m going to start including Pinch of Yum’s RPM in every income and traffic report. I think it’s an important metric for people to understand, and it’s a great way to track how effective you are at monetizing the page views on your blog. In February we had an RPM of $7.95. Why is RPM important? I talked about it in last month’s report, but it’s an important concept so I want to be sure to explain it again. I think the coolest thing about RPM is that it helps to show what you could have earned in a given month. For instance, I can look back at a previous month and use the RPM from that month to project potential earnings . Here’s an example: In December, Pinch of Yum had an RPM of $15.31. Assuming that (1) traffic to Pinch of Yum will be similar in December 2014 as it was in February 2014 and (2) that the RPM will be similar in December 2014 to what it was in December 2013 (which I think it will be), we can project the total revenue for December 2014 to be at (or above, if traffic goes up) $31,955.34. Ladies and gentleman, my first ever meme. Linds is going to love that one. 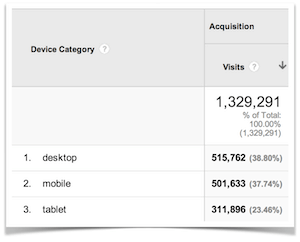 Below are some screenshots from Google Analytics. The Pinterest numbers still scare every time I see them. It’s not a matter of if those will start to decline, it’s a matter of when those will start to decline. In November’s report I talked about our decision to intentionally grow the Pinch of Yum Facebook page, but recent changes with Facebook make it seem like Facebook is making it harder and harder for brands to reach fans (without paying a fee for it). This makes it harder to justify spending a lot of time and energy investing in that platform. One of the projects I’ll be sharing below has to do with a move that will distribute some of the eggs we have in the Pinterest basket. I wanted to take some time to share three of the projects/ideas that Lindsay and I are working on. Some of these things might happen, others might not. I’m sharing these so you can see what it’s like at the very beginning stages of a project for us. In short, it’s not very glamorous. 🙂 I’ve found that creating something new usually comes about by (1) saying yes and then (2) intentionally taking steps forward every day, even if they’re small steps. This has proven to be true so far with these three projects. Those of you that follow Lindsay on Instagram or Facebook might have noticed that we’ve been looking into different studio spaces. The studio space would allow us to create a permanent “Pinch of Yum space” to set up for photography and video. The latter of which (video) I’d like to chat about. I’ve brought up video a lot in these monthly reports. Here’s why I think it’s important: As more and more recipes are posted online the value of a recipe will go down. The supply of online recipes will continue to climb, which means the they’ll become more of a commodity, which means that there will be lots of display advertising space available because of the massive number of recipes that are available online. For advertisers, a click is a click, regardless of it’s coming from a popular blog or a brand new blog. If someone is willing to get paid poorly for displaying ads on their site, then the advertiser is okay with that and will happily pay less. The more content that is created the more people there are that are okay getting paid really poorly for displaying ads on their site. Video is important because the thing that’s in high demand online is trust and connection, and one of the best ways to establish trust and connection online is through the use of video. The other advantage with video is that the barrier to entry is higher, which means that less people will do it. If you’re able to create something that’s in high demand (trust and connection), and not as many people are doing it (supply), then you’re in a good place. So far the studio space stuff has been “just looking.” When we do finally decide on a space we’ll have to add a kitchen, which will most likely result in a month with a negative income report (gulp). We’ve been working for a long time on creating a nutrition label generator for Food Blogger Pro. It’s a very basic version that is still buggy, but you get what we’re going for. This is the first time that I’ve ever worked with developers to create a web application. It’s been slower than I hoped, but we’re continuing to move forward with it. I’m excited about the potential of continuing to add web applications like this to Food Blogger Pro in an effort to continue to build the site into an awesome resource for food bloggers. Coupon Pinch is a deals and discounts site that I’ve been working on that will focus on the kitchen and food niche. The site is still very new. The system is all setup, but lots of the pages are still populated with the theme’s default content. You can take a look, but know that it’s like looking at house that doesn’t have the walls up yet. Here’s the thing about Coupon Pinch: there are thousands of coupon sites out there, and most of them don’t add much value. The biggest thing that I need to figure out with Coupon Pinch is how it can be a value adding website. What is it about this site that will set it apart from the 1,000,000 other coupon sites that already exist? I don’t have a good answer yet, but I have some ideas. I’ll be sure to keep you updated on this site if anything significant happens with it. We’re using a portion of this month’s income from Pinch of Yum to support a special project at the Children’s Shelter of Cebu, an orphanage where Lindsay and I lived and worked for a year. The special project we’re supporting this month is new bunk bends. Hi Lindsay/Bjork. Neil Patel actually had some good articles about site speed – I’ll see if I can find them up and send them over to you. With the volume of visitors you have, it could increase traffic significantly if you reduce load time. Hi Bjork, I was wondering if you or anyone has any information on Martha’s Circle as compared to BlogHer? I see a few of the bigger blogs running Martha’s Circle ads and am just curious if they pay more than BlogHer. Thoughts, anyone? Thanks so much for your helpful, insightful and transparent tips. This is super interesting to me, because just BlogHer told me last week that I was not allowed to work with Sovrn. I’ll be revisiting that policy right away! Is it possible for you to share with me how you get traffic from Buzzfeed, have you approached them to share your blog on buzzfeed or is there any other technique which you apply? For Foodgwaker, is there any specific technique which you apply to get good number of visitors, because I have seen other Food bloggers who share their recipes on Foodgawker but doesn’t attract much traffic after sharing couple of recipes every week? Hi Shae! On the Buzzfeed thing – they actually featured one of my recipes in a post (10 healthy dinners or something like that). Usually news-y sites like Buzzfeed or Huffington Post just go ahead and include the photo with links back or email and ask – we don’t do anything to make that happen. That doesn’t mean that you couldn’t try to get in touch, though! Thank you Lindsay and Bjork for this REAL “meat and potatoes” informational post series I just discovered today through Pinterest boards – you are a genuine reference for a new blogger as I have just started as well. I have attended a workshop where the instructor blogger was recommending not to put advertising on the blog website until reaching a certain volume of subscribers or daily visitors. Relying on my memory as I write this, I believe it was not before 1000 subscribers – or was it daily visitors/page views? What are your thoughts about that? I am excited about the number of shares my first few posts have gotten so fast -when really just doing the basics as far as social media is concerned yet-, and wondering if I should start setting ads up right away? I have started writing my posts with some “placeholder” words, where I know I can go back to and add affiliate links later by updating my posts. (I use WordPress platform but on my own domain). My own blog is about women traveling, and I am a photographer as well, food lover extremist! I love to photography food, been to some photography workshops where food styling was taught, it is so fun. Is that what your ebook is about? I thought about making a separate food blog, but for now will incorporate my passion for food in my travel blog as it demands a lot of time to start up properly. I will follow your adventure as I am also concerned about site loading times with my photography. Are you downsizing your photos to make them less “heavy”? What size? You are SO full of fabulous knowledge! I love it! My blogging partner, Shelley, and I always look to you – our Gold Standard! – when we have blogging decisions to make! We just formed an LLC (gulp – big expense since we aren’t running ads yet!) and have been wait listed for BlogHer. We’re hoping to start soon! Thanks for another inspiring report. Every time I read these, all I think is, “man, someday I’ll be there…” It’s so inspiring to go back through your monthly reports and see the growth you’ve had over the last 18 months or so. Thanks to you and Lindsay both for your hard work, creativity, and transparency. Do you have any advice on where to start looking for food bloggers to follow? I’m currently on Feedly and BlogLovin’ and take the time to read through comments on blogs, but I don’t feel like I’m connecting with many quality bloggers. Any suggestions? Do you have your list of favorites? Hi Alex! If you’re looking to really develop lasting relationships, I think the best way to do that is meeting in person. I haven’t done a ton of that myself, but whenever I do, I find myself connecting on a more meaningful level than what can be said/felt in comments or just generally online. Maybe try to see if your city or even state has a local bloggers group, or attend a conference or class to try to branch out and meet more bloggers! Question for Bjork. Do you know any good Guy food blogs? All i see is 95% of food blogs coming from females and haven’t really found any Men blogs. The only 2 i know are mattbites and thedomesticman. Thanks! Are you looking just for male food blogs, or male food blogs that make “man food”? There are a decent amount of both out there (just a little extra hard to find). David Dial runs Spiced Blog (spicedblog.com) in NYC. I just started blogging a couple of months ago so mine is still a work in progress. I love Amateurgourmet.com, written by Adam Roberts – it is hilarious and great. Wow-yet another amazing monthly report! Thank you so much for sharing this! Thanks for another informative post. I wish it were possible to sit down over coffee and chat about this stuff with youse guys – I find the possibilities endlessly fascinating! FB really cheesed me off with the way they handle boosted posts. You can’t control who will receive your boost in their timelines (“friends of your likes” is not a “demographic” to bank on; their targeting option isn’t transparent enough to judge the quality of views), and, more annoyingly, you can’t control when FB releases your post into people’s timelines. The few times I’ve paid to boost, they released a good portion into a time frame when the least amount of folks are online (according to my own page’s Insights). And – and! – a few years ago, I paid FB for a few “like” campaigns (back when there wasn’t much advertising occurring on FB), so some of my “likes” are ones that I actually paid for. But I have no way of analyzing whether those folks are being served my posts (and they should be – I already paid for them once), or if they’re part of the 97% who doesn’t see anything I release. Aside from the necessity of having that “presence” on social media (plus the occasional extra paid opps that BlogHer gives for doing FB and Twitter promos), I consider FB to be a very low level social tool. In theory, I don’t have anything against paying for the service, but I expect something proportionally substantive in return. Wow studio sounds exciting, look forward to seeing it. I wondered with sovrn what is your CPM? It must be really low? I hear people talking about getting $2-$4 CPM with some CPM networks. Have you tried any others? these posts are sooo helpful! thanks so much for being so transparent. I used to get a TON of views from FB, but that is tapering off with their new algorithms. any advice on how to use Stumble Upon or how to get picked up by BuzzFeed? There are so many things to talk about in this post!! I don’t even know where to begin, but I will definitely be saving this as a reference! And seriously, seriously..keep these posts coming!! Hey Lindsay and Bjork! Once again, thanks for these updates. They are really helpful for a newbie like me! I have checked my site speed, and mine is pretty slow as well (probably due to the pictures). I have been looking into ways to optimize them. Have you ever heard of smush.it? It takes the photos and strips the unused data, keeping them looking exactly the same. There is a 1 mg limit though. I ran it and my site speed improved a little. I am also looking into imsanity, which will reduce the size of all images to the exact size of the page. I haven’t tried that one yet though. I noticed a lot of your income comes from teaching others about blogging (photography e-book, bluehost, themes). I think that is pretty cool! Hi, its very interesting how Affiliatemarketing works in the USA. In Germany, the earnings are not so high. If you like you can visit my German Blog and see how it works here. Great work and much success. You have to switch out Sovrn and try some new CPM networks. Sovrn has a low CPM and is getting pretty spammy! Casale media, Madadsmedia, Gourmet Ads. I absolutely love these posts, they remind me of exactly how much work I need to do to get to where I want to be! Thanks again for these great detailed posts. It’s amazing the clarity and detail you all. I have a recipe blog, but even for other niches you are the bible. The idea of the video is good, but I have some doubts about how to get to do SEO on youtube. I take this opportunity to warn that there must be an error in the link Tasty Photography Ebook. When I click open me again Pinch Of Yum in the iframe. I have been blogging inconstantly for years. I have been working on a calendar to keep me focus and on track. I am a stay at home mom and are running the house with one income (really hard). One thing that have attracted to you the most is the good heart you both share. Sharing this amount of good information is unseen int the web. Can you please help me with guidance as to how to start making income with my food blog? First I want to know more about hosts. I use ThisWebHost and have been paying monthly since I am not sure if it’s the best one. I just got an email from them saying that I must upgrade since my bandwidth is up to its limit (ha?). What is all that? Need more info on this topic and how to take it from there. Please, help! I haven’t any problem with them thought. I want to work from home (or be available for my girls while they are growing up), but I also pray for a purposeful blog (work, service). I love missionary work (I have never done missionary, but the work that is done and the reach out with love and compassion in Jesus name). Well, I want My Sweet Zepol (and everything I do) to have a purpose, a meaningful purpose (not just help us with our household bills). I want to make the connection from what I am doing to how I am making a difference. The numbers are awesome, very inspiring! Thank you for sharing your tips! usually provide a lot of giveaways.